Master Z picks up right where Ip Man 3 left off. Cheung Tin Chi (Max Zhang), still emotionally beaten down after losing his fight to Ip Man, contents himself with living a quiet life with his young son. He has traded in Wing Chun and his martial arts school for a grocery store and what passes for domestic bliss. This being a martial arts movie, Cheung’s serenity doesn’t last long. He quickly finds himself up against feuding gangsters, local police and their bullying colonial counterparts. When tensions escalate, Cheung’s store goes up in flames, and he and his son move in with sympathetic bar owner Fu (Xing Yu) and his sister Julia (Yan Liu). For its simple setup, if anything Master Z suffers from too much world-building. The franchise spinoff lacks the compelling history of characters like Ip Man and Bruce Lee, which wouldn’t have to be a problem if the script didn’t insist on so much rote backstory and twists and turns that don’t really go anywhere. Thankfully, Master Z comes alive during the fight scenes. Director Yuen Woo-ping, who also worked on fight choreography for Ip Man 3, confidently cycles through tense, simmering send-ups to slapstick to death-defying brawls. Each fight has its own emotional character, and taken together they serve as a refreshing reminder that fast-paced action can still be intelligible. It’s amazing what directors can do with choreography when they don’t need to compensate for poor fighting skills or excessive CGI. 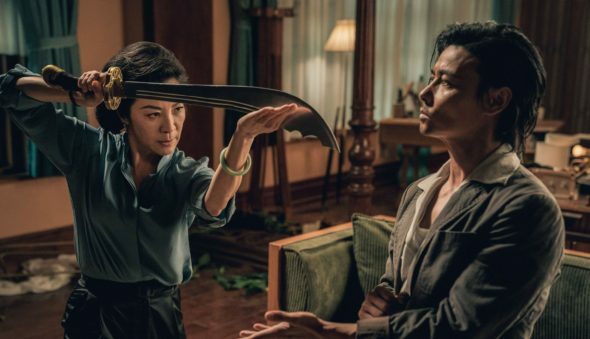 Action royalty Michelle Yeoh and Tony Jaa round out the cast—Yeoh impeccably so as a sharp crime boss, and Jaa all too briefly as one of her hired guns. But for all its machinations, Master Z at least continues the franchise’s deftness at homing in on a message and beating it into you. Master Z is about as family-centric of an action movie as you can get when the subject matter includes limb removals, drug overdoses and the legacy of colonial corruption. Cheung finds the redemption that eluded him as he goes from everyman to superman for the sake of his son. His story might no longer be the stuff of legends, but Master Z suggests that such a life is equally worthy of celebration. Or, at the very least, a worthy spinoff.